A well-known fact is that habits shape characters and characters shape destinies. There is something deeply rooted in habits that makes them hard to change as much as one may wish to. What if there is a way to change your habits and rewire your brain just like a computer program can be rewritten? The analogy that can be used between computers and our brain is that of coding. Coding is writing a program for a computer in a specific way. A way to reprogram the brain is to use the hack for the reward system in order to get it to change its deeply ingrained set of habits. The life of an individual can be compared to a computer program in which the code of the program is the habits. Habits can be changed by switching off genes through epigenetics. At this moment in time, geneticists can switch certain genes on and off just like a computer programmer would change the code of a program. 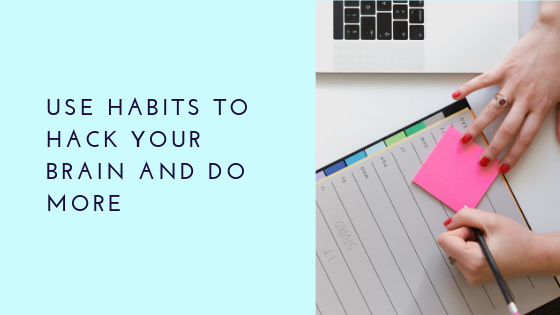 The way one can do this for themselves is to use a psychological pattern known as the ‘habit loop.’ In it, there is a cue or a trigger that gets the brain working in an automatic function. Then a routine is formed. The reward is the last step of the process that makes our brain remember this loop. There are steps that can be taken to control the habit circuit. The first is to identify the routine one has. The second is to experiment with rewards. In computer programs, a certain input gives out certain results. Trying to do a different set of actions to see the different results and derive a potential reward from the different habit is a way to break the pattern of the brain. The third thing to do is to isolate the cue. This is identifying it at the moment that it hits the one with the habit. Where is one located when the cue hits, what time does it happen in, what is the emotional state that it happens under, who is around at that time, and what action came right before it? These questions can help one be mindful of their cues. Once the habit loop is identified, behavior can be shifted, and the habits are rewritten. By actively making new choices, the habits can be broken and new ones created. An If-Then strategy can help people trying to change their habits make choices mindfully as they will strive to do only the things that will deliver them certain desired results in the future.